The Un.loop is part of the Clarks Unstructured Collection. Featuring the latest air circulation technology, Un.loop offers unequalled comfort. Premium, full-grain leather or suede upper offers immediate wear with no break-in required. Breathable leather lining. 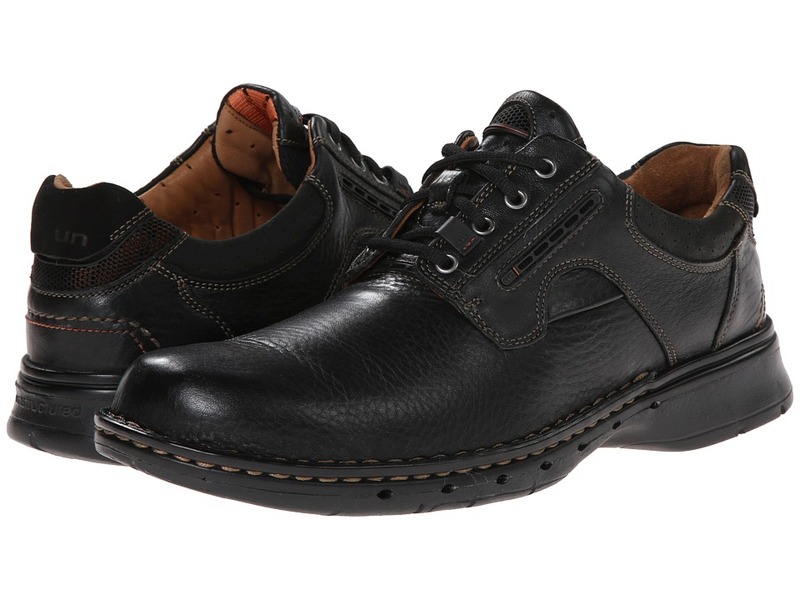 Removable, vegetable-tanned leather insole reduces foot friction. Unique air circulation system features intake vents to allow cooler, fresh air to enter. Channeled mesh creates a defined path for warm, moist air to flow and escape through exhaust vents. Lightweight &amp#8220Ultra Flex EVA outsole sole reduces lift load and foot fatigue for all-day wear. Rubber outsole pads absorb shock and add traction without weight. Measurements: Heel Height: 1 in Weight: 9 oz Product measurements were taken using size 7, width B - Medium. Please note that measurements may vary by size. Weight of footwear is based on single item, not the pair. Crafted from the finest materials, the Clarks&amp#174 Un.bend offers total comfort for your casual wardrobe. Premium, full-grain leather upper offers immediate wear with no break-in required. Breathable leather lining. 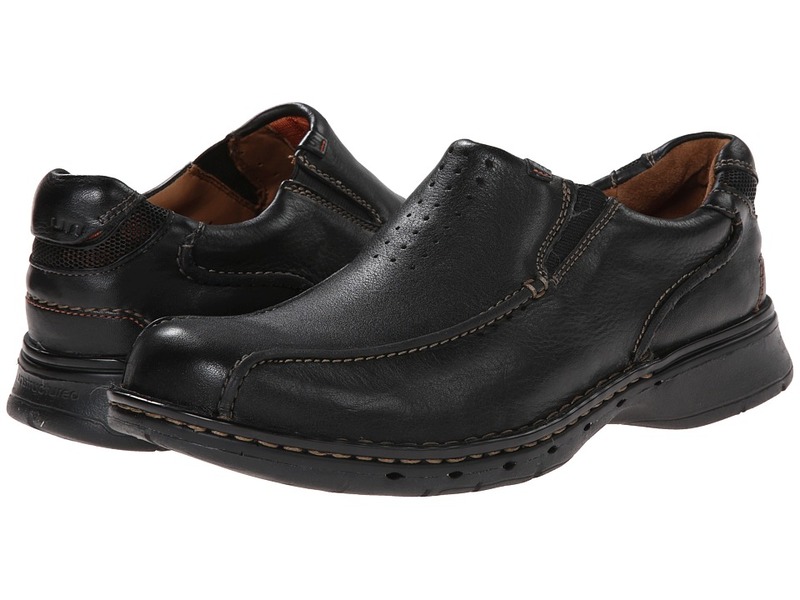 Removable, vegetable-tanned leather insole reduces foot friction. Unique air circulation system features intake vents to allow cooler, fresh air to enter. Channeled mesh creates a defined path for warm, moist air to flow and escape through exhaust vents. Lightweight &amp#8220Ultra Flex EVA outsole sole reduces lift load and foot fatigue for all-day wear. Rubber outsole pads absorb shock and add traction without weight. Measurements: Heel Height: 1 1 4 in Weight: 15 oz Product measurements were taken using size 7, width D - Medium. Please note that measurements may vary by size. Weight of footwear is based on single item, not the pair. Experience a new kind of comfort with the Un.ravel oxford. Premium, full-grain leather upper offers immediate wear with no break-in required. Breathable leather lining. Removable, vegetable-tanned leather insole reduces foot friction. Unique air circulation system features intake vents to allow cooler, fresh air to enter. Channeled mesh creates a defined path for warm, moist air to flow and escape through exhaust vents. Lightweight &amp#8220Ultra Flex EVA outsole sole reduces lift load and foot fatigue for all-day wear. Rubber outsole pads absorb shock and add traction without weight. Measurements: Heel Height: 1 1 2 in Weight: 15 oz Platform Height: 3 4 in Product measurements were taken using size 8.5, width D - Medium. Please note that measurements may vary by size. Weight of footwear is based on a single item, not a pair. Slip into absolute comfort in the Un.seal loafer. Premium, full-grain leather upper offers immediate wear with no break-in required. Breathable leather lining. Removable, vegetable-tanned leather insole reduces foot friction. Unique Air Circulation System features intake vents to allow cooler, fresh air to enter. Channeled mesh creates a defined path for warm, moist air to flow and escape through exhaust vents. Lightweight Ultra Flex EVA outsole sole reduces lift load and foot fatigue for all-day wear. Rubber outsole pads absorb shock and add traction without weight. Measurements: Heel Height: 1 in Weight: 15 oz Product measurements were taken using size 7.5, width D - Medium. Please note that measurements may vary by size. Weight of footwear is based on single item, not the pair. 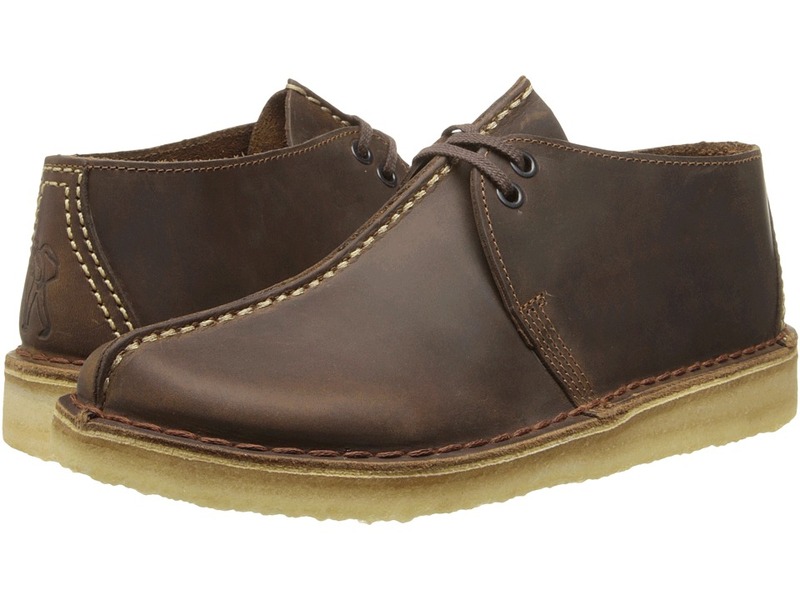 The Desert Boot is part of the Clarks Originals Collection. 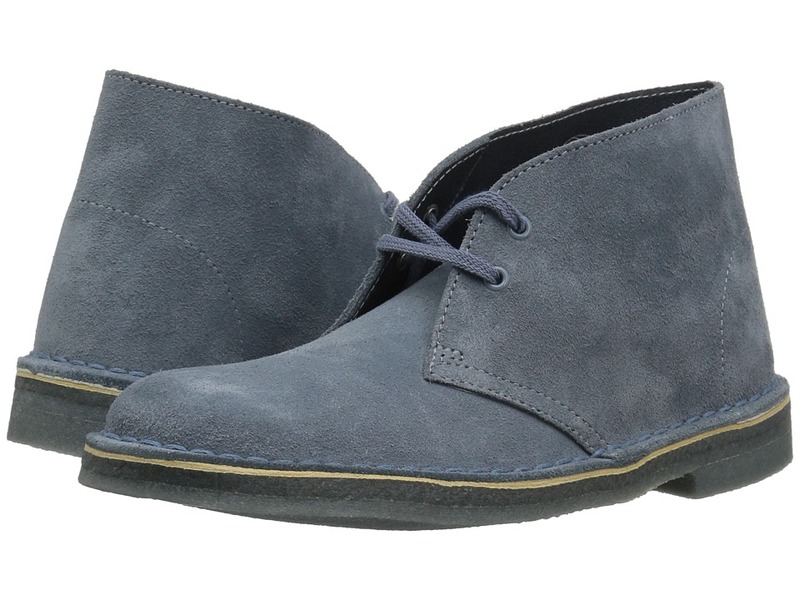 The classic Clarks Desert Boot is no mirage! Suede or leather upper is soft, flexible and requires no break-in. 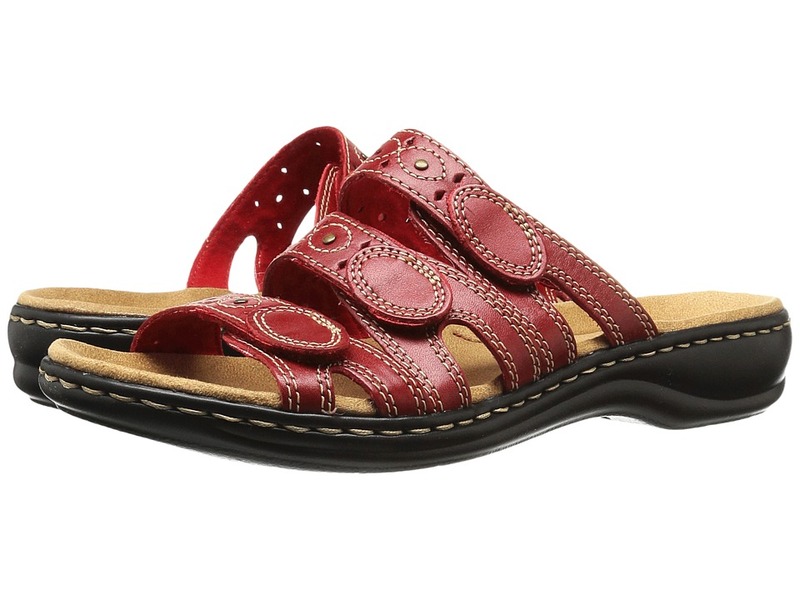 Soft leather interior lining absorbs moisture while surrounding the foot in total comfort. Shock-absorbing foam footbed provides an added level of cushioning. The classic natural crepe outsole adds durability while reducing fatigue. Moccasin construction conforms to the shape of your foot for an improved wearing experience. Imported. Measurements: Heel Height: 1 1 4 in Weight: 13 oz Platform Height: 1 2 in Product measurements were taken using size 6.5, width B - Medium. Please note that measurements may vary by size. Weight of footwear is based on single item, not the pair. 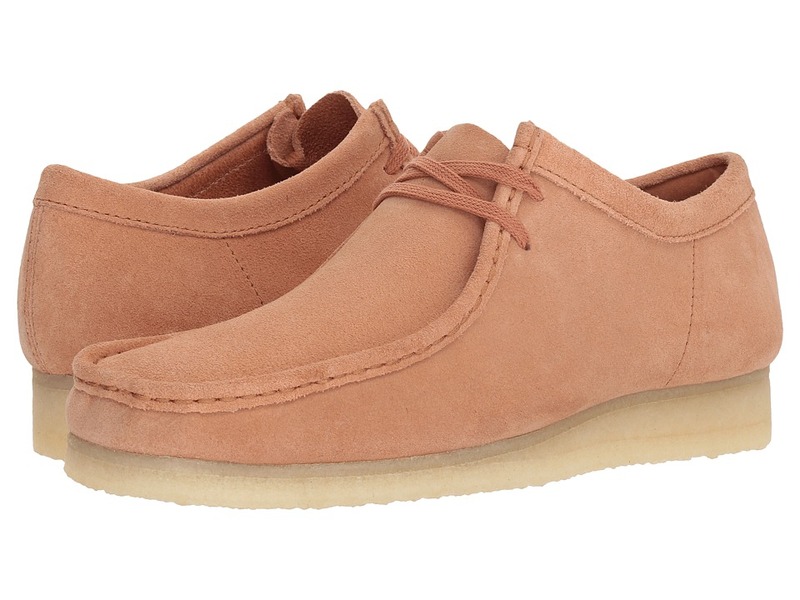 Stray away from the norm in the satisfyingly stylish Clarks Wave.Run. Full-grain leather upper is soft, flexible and requires no break-in. One-of-a-kind design with cross stitch detail and unique strap overlays add a distinctively European look. Removable dual-density Ortholite footbed with removable EVA heel support, radius heel, fulcrum point and higher toe spring reduce step shock while helping to propel you forward. Internal EVA heel wedge positions your feet for easier walking while allowing for the use of custom orthotics. Injected EVA outsole with carbon rubber pads at key strike points further improves the walking experience. Rocker profile heel kicker, concave heel and toe-off support at outsole help you maximize energy return and create a smooth, effortless forward motion with each step. Strobel construction sews the upper to the insole creating an incredibly flexible shoe. The Clarks WAVE Collection carries the Seal of Acceptance from the APMA. Measurements: Weight: 8 oz Product measurements were taken using size 6.5, width D - Wide. Please note that measurements may vary by size. Weight of footwear is based on a single item, not a pair. The Desert Mali is part of the Clarks&amp#174 Original Collection. Enjoy a construction-inspired boot silhouette with all the comfort Clarks has to offer with the Desert Mali Boot. Cow suede or leather upper in a traditional lacing system for easy on-and-off wear and a secure, personalized fit. Sheepskin lining wicks away moisture leaving the foot cool and dry for all-day comfort. Cushioned foam insole massages the foot with each and every step. Crepe midsole absorbs shock and provides added cushioning. Genuine plantation crepe outsole delivers long-lasting durability. Measurements: Heel Height: 1 1 4 in Weight: 1 lb 6 oz Circumference: 11 1 2 in Shaft: 6 1 4 in Product measurements were taken using size 10, width D - Medium. Please note that measurements may vary by size. Weight of footwear is based on a single item, not a pair. The Lexi Myrtle is part of the Clarks Bendables Collection. Slide into summer style with the floral-inspired Lexi Myrtle sandal from Clarks. Premium leather upper adorned with stitching and bead detail for added appeal. Soft fabric lining ensures an abrasion-free environment for all-day wear. OrthoLite footbed massages the foot with each and every step Lightweight EVA outsole delivers long-lasting durability on a variety of surfaces. Bendables construction provides flexible comfort. Imported. Measurements: Heel Height: 2 1 2 in Weight: 8 oz Product measurements were taken using size 9, width B - Medium. Please note that measurements may vary by size. Weight of footwear is based on a single item, not a pair. 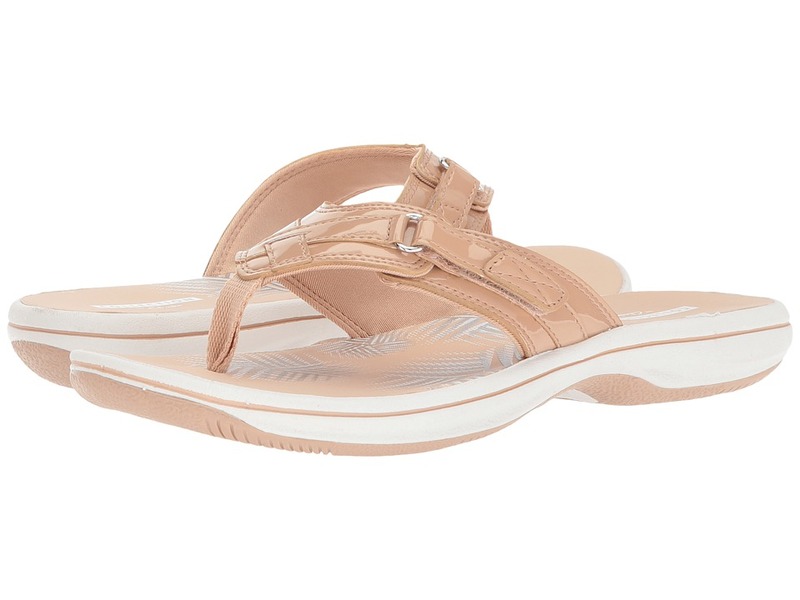 Add some floral design to your warm-weather wear with the Breeze Sea sandal from Clarks. Synthetic upper with an adjustable hook-and-loop closure for a secure fit. Soft fabric lining ensures an abrasion-free environment for all-day wear. 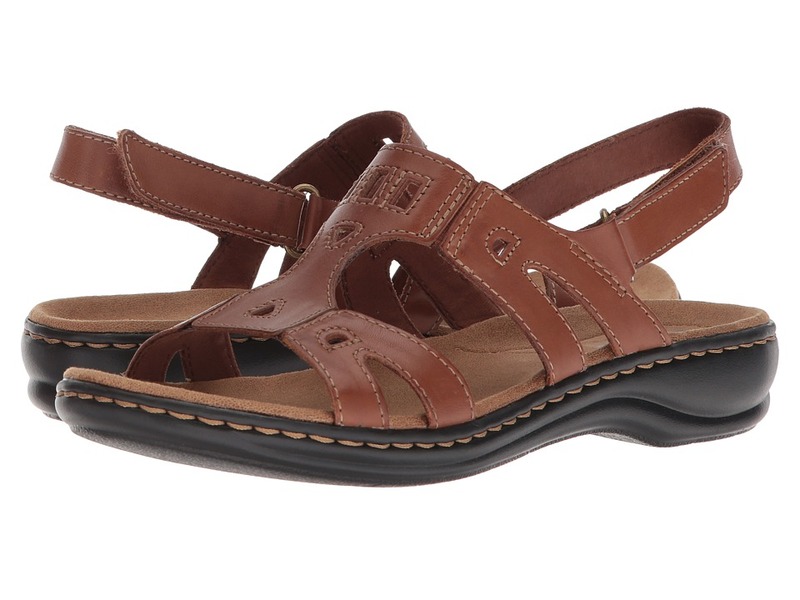 EVA-cushioned footbed and midsole massages the foot with each and every step. TPR outsole delivers long-lasting durability on a variety of surfaces. Imported. Measurements: Weight: 5 oz Product measurements were taken using size 8, width B - Medium. Please note that measurements may vary by size. Weight of footwear is based on a single item, not a pair. The Ashland Bubble is part of the Clarks Bendables Collection. Step out into casual comfort and sensible style with this timeless Ashland Bubble oxford. 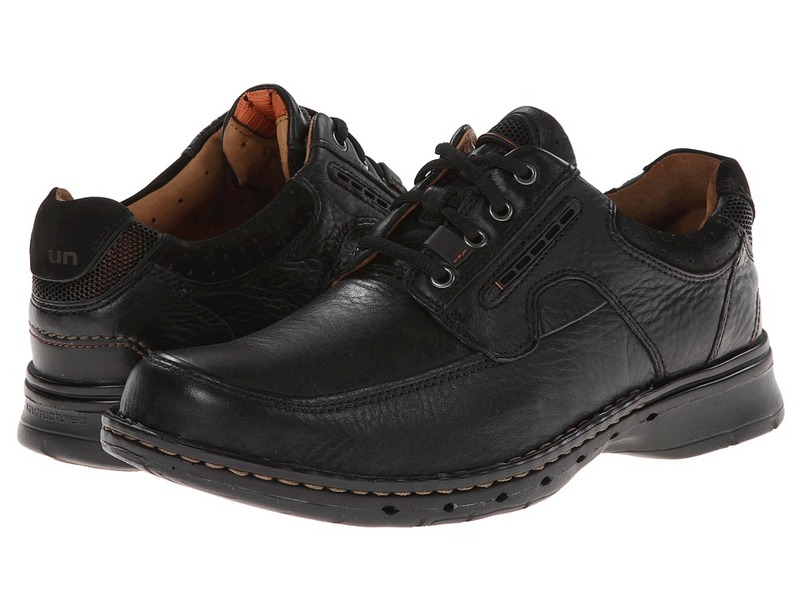 Premium leather upper with contrast stitching detail and tie accent at the instep. Soft synthetic lining ensures an abrasion-free environment for all-day wear. OrthoLite footbed massages the foot with each and every step. TPR outsole delivers long-lasting durability on a variety of surfaces. Bendables construction provides flexible comfort. Imported. Measurements: Weight: 10 oz Product measurements were taken using size 8.5, width B - Medium. Please note that measurements may vary by size. Weight of footwear is based on a single item, not a pair. 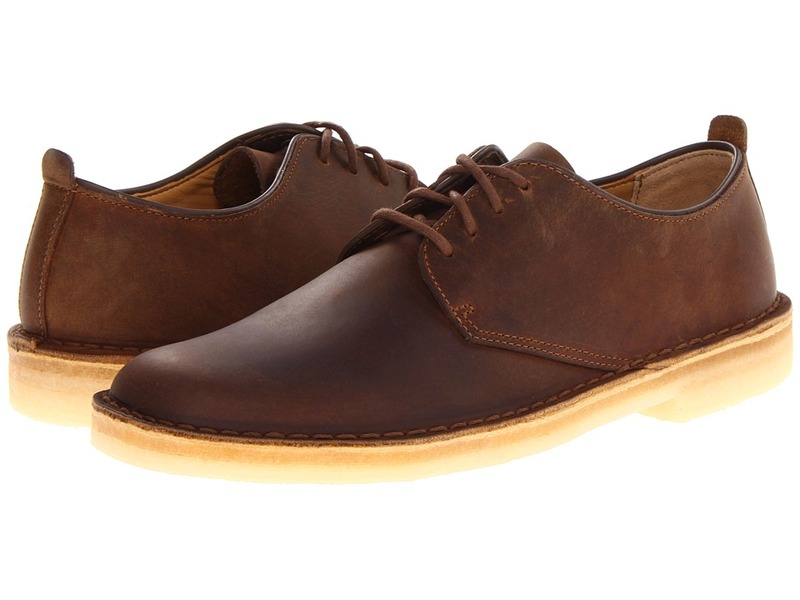 Flaunt an old-school style in new finishes with the Clarks&amp#174 Desert London lace-up. 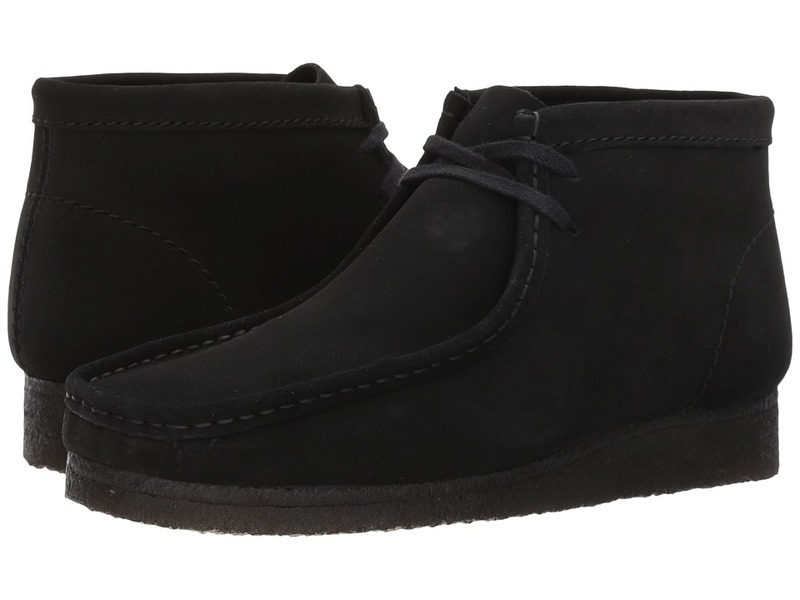 Rich suede and soft leather upper with a lace-up closure for a secure fit. Leather and fabric lining ensure an abrasion-free environment for all-day wear. Lightly cushioned footbed massages the foot with each step. Genuine plantation crepe outsole delivers all-day comfort. Imported. Measurements: Heel Height: 1 in Weight: 1 lb 5 oz Product measurements were taken using size 12, width D - Medium. Please note that measurements may vary by size. Weight of footwear is based on a single item, not a pair. 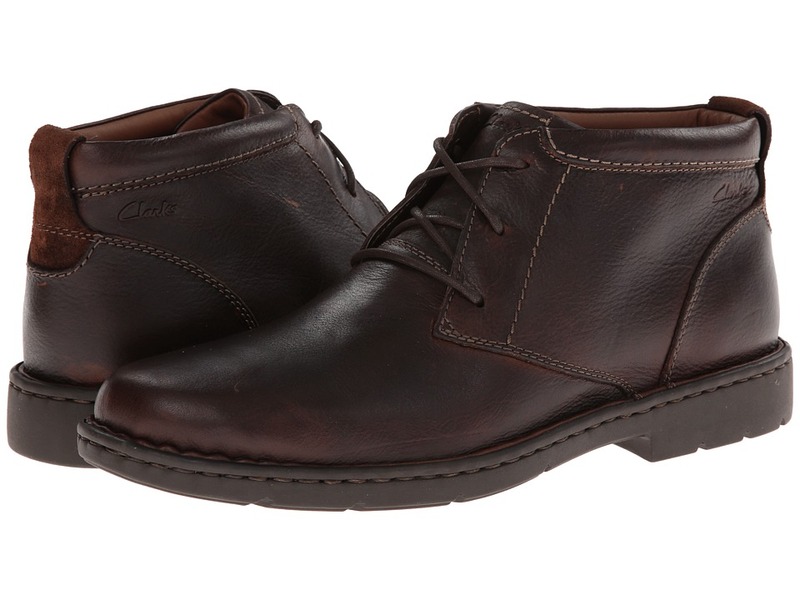 You~ll never know your limit of comfort and style until you test it with the Clarks Stratton Limit! Rich leather upper with clean tonal stitching details. Lace-up closure for an adjustable fit. Leather and textile lining for breathability. 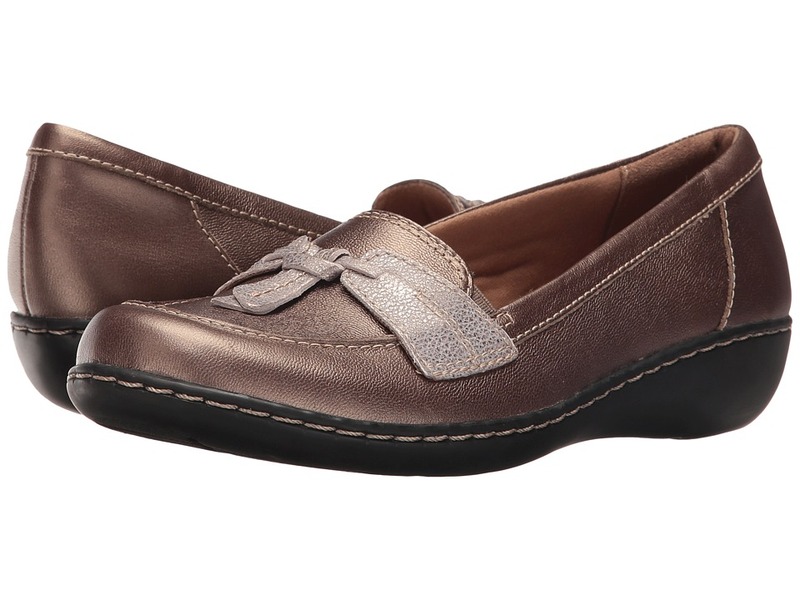 Ortholite footbed with Clarks Plus technology cushions and supports for all-day wear. Durable rubber outsole. Imported. Measurements: Heel Height: 1 1 4 in Weight: 1 lb 4 oz Product measurements were taken using size 12, width EE - Wide. Please note that measurements may vary by size. Weight of footwear is based on a single item, not a pair. 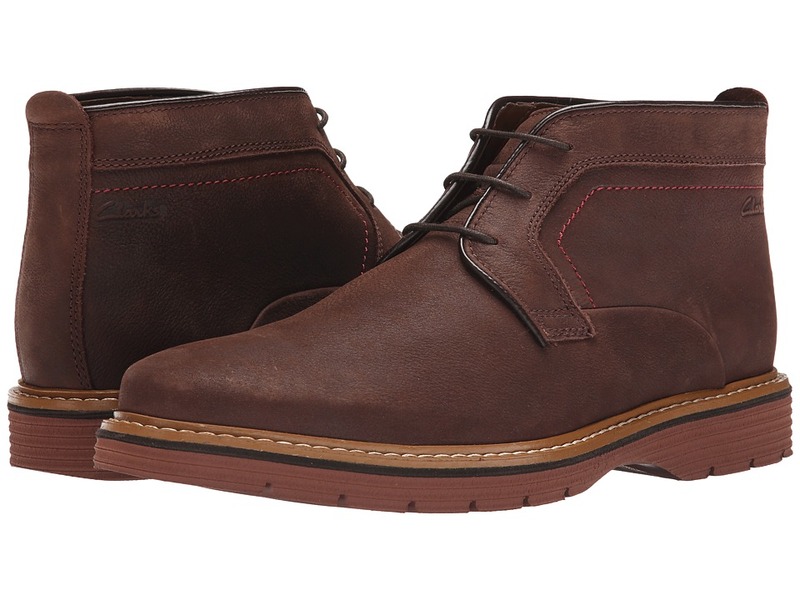 The Clarks&amp#174 Wallabee Boot offers top of the line comfort and style. Leather or suede upper in a hand-stitched moccasin style. Lace-up closure for a secure fit. Nature-formed last allows for a natural toe spread with a leather sockliner to keep feet comfortable and dry. Lightly cushioned footbed. Genuine plantation crepe outsole cushions the foot. Measurements: Heel Height: 1 in Weight: 1 lb 5 oz Shaft: 4 in Platform Height: 3 4 in Product measurements were taken using size 11, width D - Medium. Please note that measurements may vary by size. Weight of footwear is based on a single item, not a pair. The Wallabee is part of the Clarks&amp#174 Originals&amp#174 collection. Easy meets handsome in the Clarks Wallabee moccasin. Leather upper with a hand-stitched design at the toe. Lace-up closure for an adjustable fit. Lightly padded footbed for additional comfort. Genuine plantation crepe outsole gives you a pleasurable walking experience. Imported. Measurements: Weight: 1 lb 4 oz Product measurements were taken using size 11, width D - Medium. Please note that measurements may vary by size. Weight of footwear is based on a single item, not a pair. The Leisa Annual is part of the Clarks Collection. Casual style make your warm-weather wardrobe easy to dress up! Stitched leather upper. Slip-on with hook-and-loop strap for adjustability. Fabric lining for all-day wear. 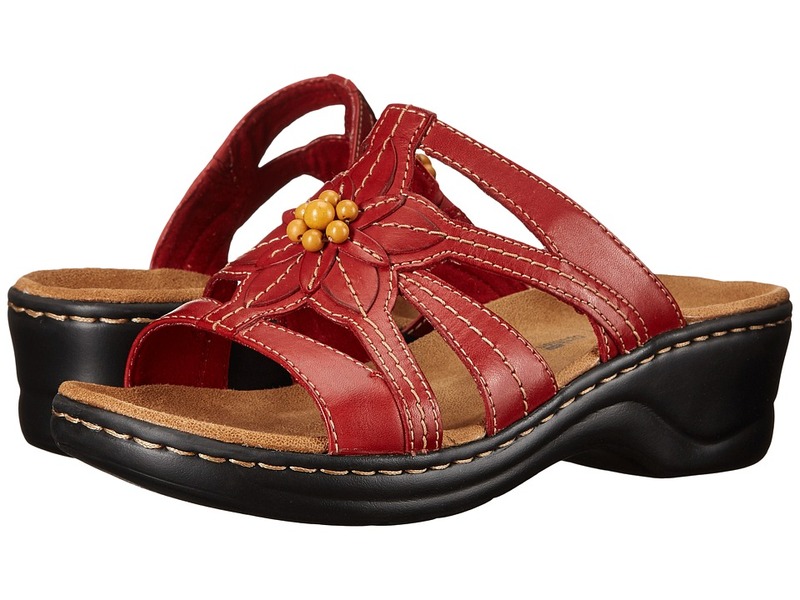 OrthoLite&amp#174 cushioned footbed for added comfort. Lightweight EVA outsole for a pleasurable walking experience. Imported. Measurements: Heel Height: 1 1 4 in Weight: 5 oz Product measurements were taken using size 8, width B - Medium. Please note that measurements may vary by size. Weight of footwear is based on a single item, not a pair. The Leisa Cacti Q is part of the Clarks Bendables Collection. Sweet summer style is calling your name, so slip into the Leisa Cacti Q and enjoy the season! 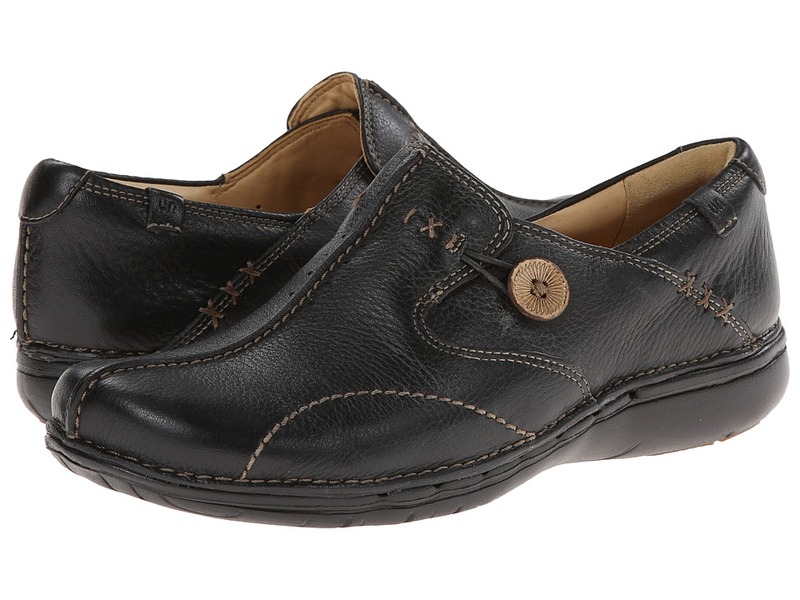 Premium leather upper with slip-on design and hook-and-loop straps for easy on-and-off wear. Soft leather and fabric lining ensures an abrasion-free environment for all-day wear. OrthoLite footbed massages the foot with each and every step. TPR outsole delivers long-lasting durability on a variety of surfaces. Bendables construction provides flexible comfort. Imported. Measurements: Heel Height: 1 1 4 in Weight: 5 oz Product measurements were taken using size 7.5, width D - Wide. Please note that measurements may vary by size. Weight of footwear is based on a single item, not a pair. 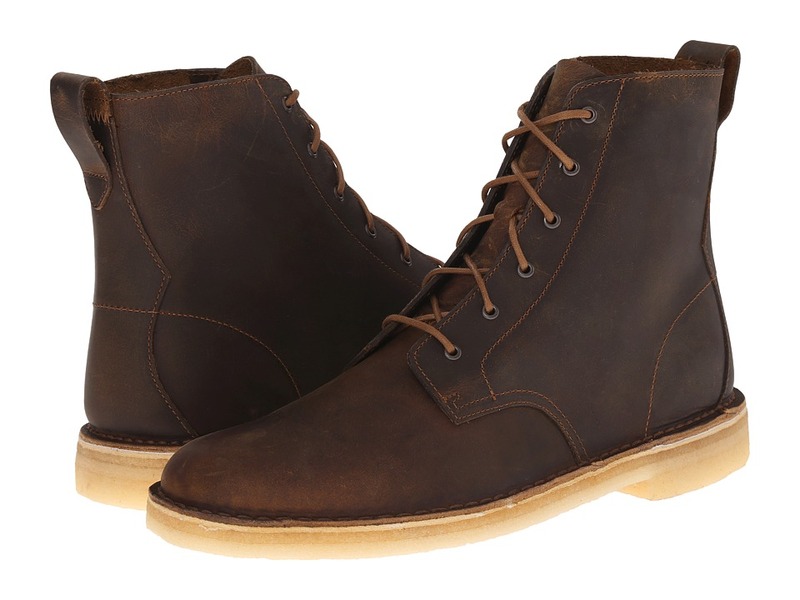 Bring sleek style with a rugged edge to the forefront with the Clarks Newkirk Top boot! Mid-cut boot silhouette. Uppers of rich nubuck or smooth leather. Fabric lining. 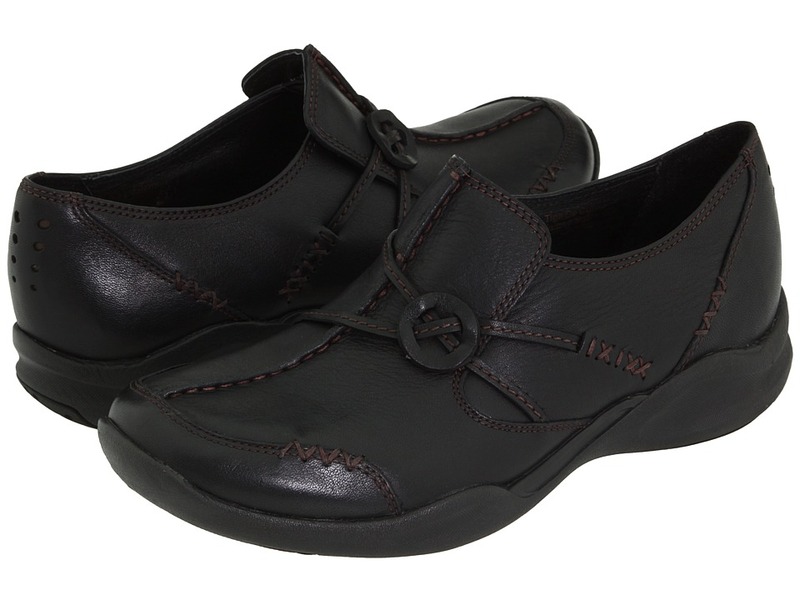 Cushioned Ortholite footbed wicks away moisture and a leather sock adds further comfort. Extralight EVA sole absorbs shock while at the same time being incredibly lightweight. Imported. Measurements: Weight: 14 oz Shaft: 4 1 2 in Product measurements were taken using size 9, width D - Medium. Please note that measurements may vary by size. Weight of footwear is based on a single item, not a pair.